Did negligent security contribute to the tragic death of Leron Smith? We represent families who have suffered the loss of a loved one as a consequence of negligent security. 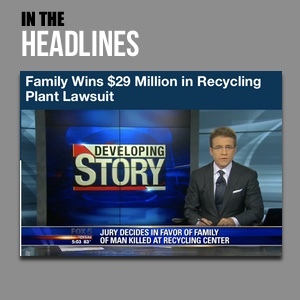 Read Our Legal Take to find out if the family of Mr. Smith may have a legal avenue for justice and claim for substantial compensation. A shooting outside Eye Candy nightclub in College Park reportedly claimed the life of Leron Smith Sunday morning, November 13, 2016. 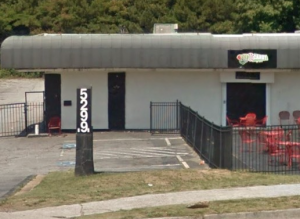 According to 11 Alive News, the fatal shooting occurred shortly before 6:00 a.m. “in the parking lot of EYE Candy, an adult entertainment club south of College Park on Old National Highway.” Mr. Smith was apparently shot multiple times following an altercation with another man in the nightclub parking lot. Police have not yet identified a suspect or motive. Business patrons have a right to feel safe and secure while on premises of the establishment they are visiting. The Murray Law Firm has represented a number of victims of crime occurring along Old National Highway, and questions the level of security provided in the business parking lot and whether this shooting may have been prevented. What parking lot security measures, such as bright lighting, surveillance cameras and security patrols, were in place outside the business to protect patrons at the time of the shooting? 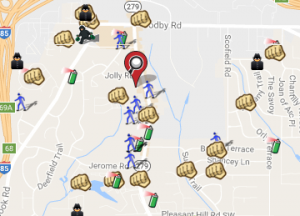 Crime reports, from Spotcrime.com, reveal a number of recent assaults and robberies in the surrounding area. Was the parking lot owner or management aware of any prior incidents of violence on or near the property? If so, were additional security precautions implemented by the property owner or management to deter crime? By law, property owners in Georgia are required to protect all those legally on the premises from any foreseeable harm. Should the facts of this matter reveal that the parking lot owner or management failed to provide adequate security, the family of Leron Smith may elect to seek justice and pursue legal claims for his wrongful death. Based upon its long, extensive, and successful experience in handling negligent security cases against property owners in the State of Georgia, The Murray Law Firm suggests that photographs and a thorough, unbiased inspection of the properties will need to be performed immediately, before any evidence may be repaired, damaged or destroyed.